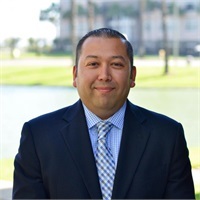 Christopher Carreon is a Financial Advisor with Lake Avenue Financial who has a passion for financial planning and helping underserved markets understand finance. As a Financial Advisor, Christopher assesses the financial needs of individuals and helps them with investments, insurance, retirement planning, short and long-term goals, and implementing strategies to best suit their needs. As a graduate of California State University, San Bernardino, Christopher received his Bachelor’s Degree in Finance and went on to receive his Series 66. Chris is now working towards achieving the Certified Financial Planner (CFP) designation. Some of Chris’s favorite activities are cooking with his family, spending time with friends and watching sports.